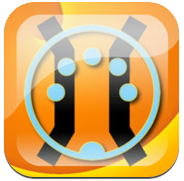 MidiBridge is the comprehensive MIDI tool that iOS is missing and absolutely essential for anyone using MIDI with an iDevice. It MIDI Routing For iOS. 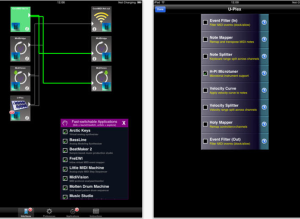 A backgroundable virtual MIDI patchbay/router/manipulator that interconnects all MIDI interfaces (external, virtual and network) on an iOS device at a fraction of the cost of equivalent hardware.